Last January, the secret was out: The MEAC and SWAC champions would meet in a postseason game to determine the black college football national championship. In March, we learned officially of the Celebration Bowl, to be held in the Georgia Dome a week after Army-Navy. I was excited for a few reasons: I am a fan and supporter of HBCUs, and loved this move from that perspective, but, of course, the band implications couldn't be denied. 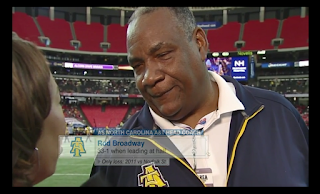 I wondered openly if the band experience would get its proper due from the Worldwide Leader, but I felt a little better when it was announced that MEAC games on ESPN3 would have halftime aired as well. That news said they got it. They knew that bands were important to HBCUs, and they would use them as part of the total package when presenting the conference and ultimately driving traffic to their latest property. So the bowls, including the Celebration Bowl, began today. I was out and about, doing some Christmas shopping, and I tried to keep an eye on what was going on with the game. I took my daughter to the science center, and since she was spending all of her time in one place at about halftime, I pulled up WatchESPN on my phone to take a look. 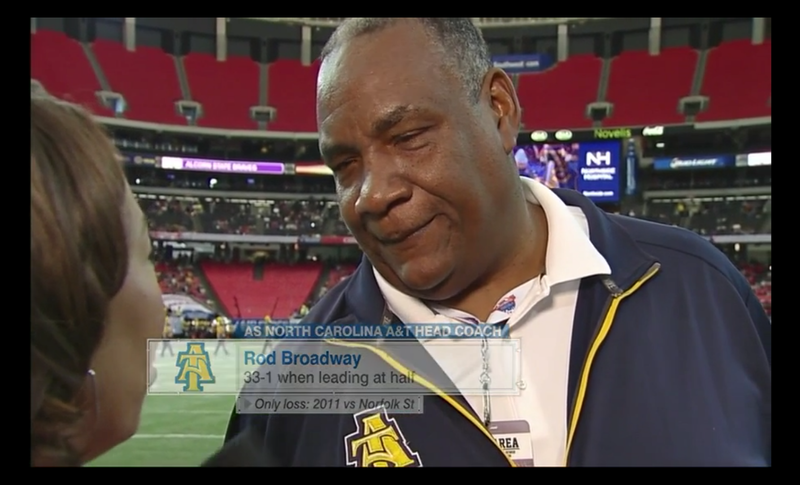 As luck would have it, I tuned in right at the half, in time for the halftime interview with A&T coach Rod Broadway. Alright, cool. I can even see the band taking the field behind him. Here we go! 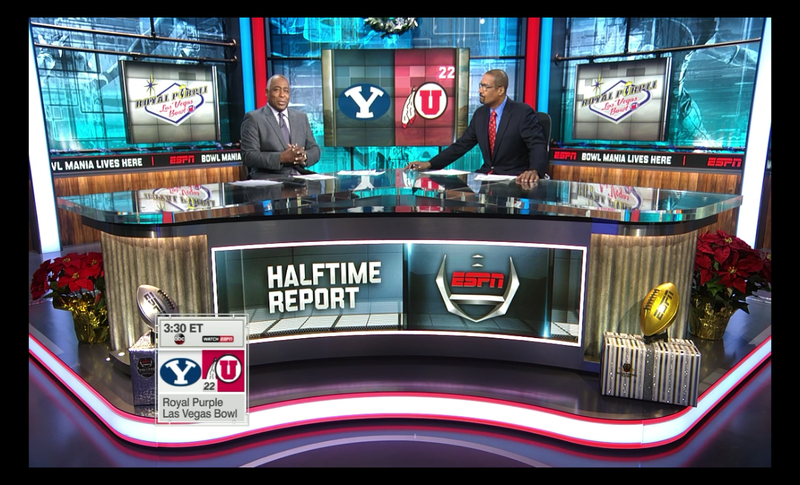 That's right, the studio Halftime Report. 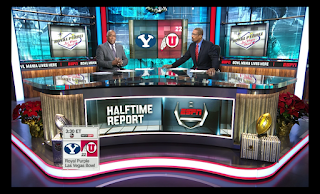 I watched the better part of 20 minutes of Mark May and wasted a ton of data before resigning myself to the fact that they weren't going to show it. They simply couldn't be bothered to actually show the bands. My mistake for thinking they got it.